We have the Solution! Change Your Students Position and Watch Their Success Rate Soar! Research shows students who standup, move, and fidget in the classroom have more focus and success at school. 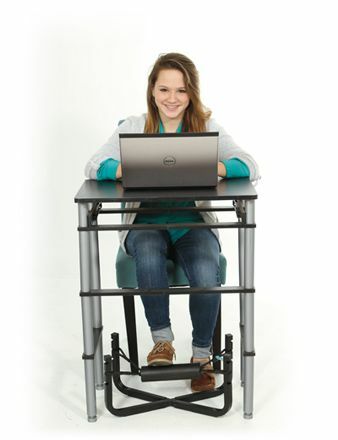 Our Patented Standing Desk Conversion Kit and The FootFidget® FootRest Series provide the missing options needed for a diverse student population at a reasonable cost. 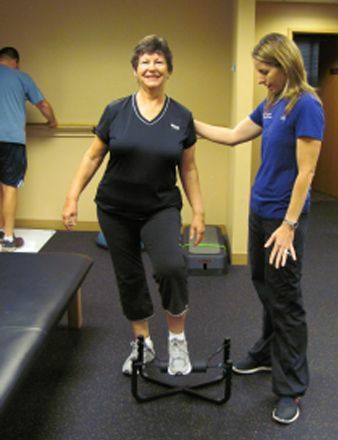 FootFidget® products are designed to help children and adults correct their posture and maximize potential! 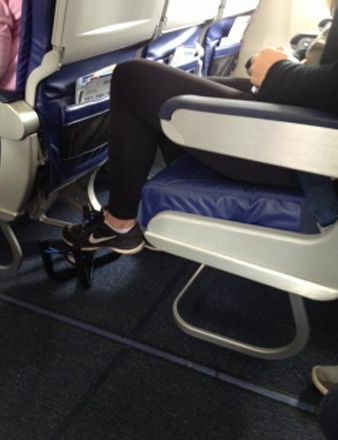 These products teach individuals how to avoid restlessness in the classroom, office, or plane by allowing them to fidget and move to provide comfort, focus, and decrease excess energy. The FootFidget® Portable and Traveler Series are lightweight and portable. 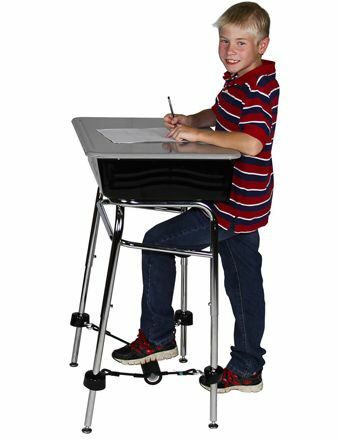 The Conversion Kit is a cost-effective way for teachers to provide a standing desk for students, and several styles of Fidgeting Footrests to use either standing or sitting. This allows students to use the FootFidget® in any number of ways depending on their personal needs. Whether you’re a teacher, traveler, or office worker, the FootFidget® Series can help you to correct your posture, and stay active throughout the day. Don’t throw away that classroom desk to make room for the new standing desks. RECYCLE those desks and SAVE money by turning those desks into standing desks. The extra bonus is that when purchasing the Standing Desk Conversion Kit, you not only get a standing desk, you also get the Attachable FootFidget®! 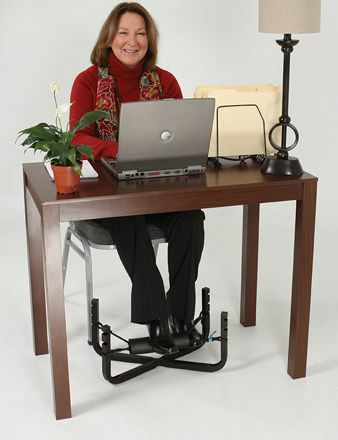 The Attachable FootFidget® provides the proprioceptive input to further increase focus, attention, and ergonomic comfort throughout the day versus standing alone. Research shows students who standup, move, and fidget in the classroom have more focus and success at school and the student’s performance will improve.